If you’re a normal human being with tastebuds and you love fries, keep reading. You’ve definitely tried the ever-delicious Truffle Fries, but that has had its day. Now, we’re ready for a new type of fry to take over the spotlight. Some of these are really sinful, but as the saying goes: don’t count your calories, make your calories count. After all, potatoes are a staple too, right? 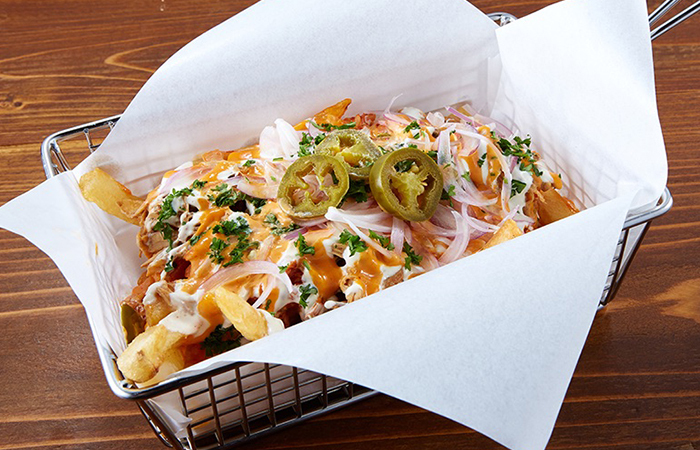 Here are 10 places to binge on some of the most unique fries you’ve ever come across! We Singaporeans really do love our fusion foods. 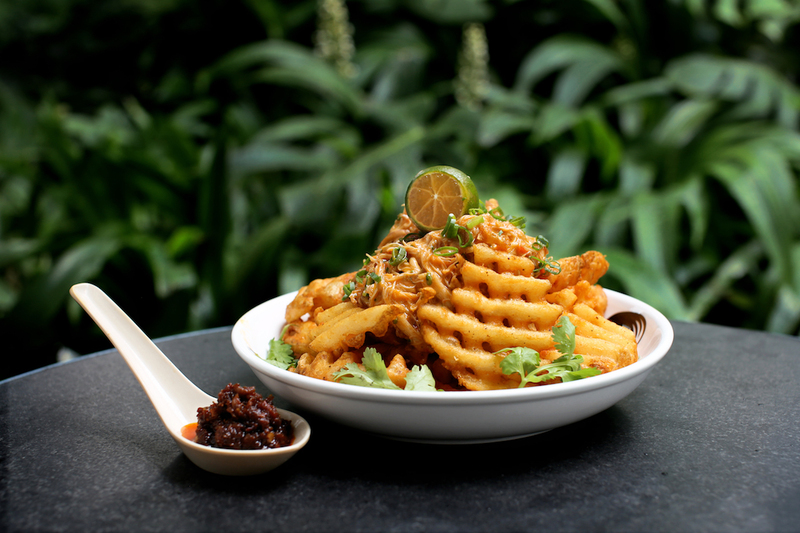 Here’s where Redpan’s Char Siew Chilli Fries come in; a tasty specimen of east meets west. 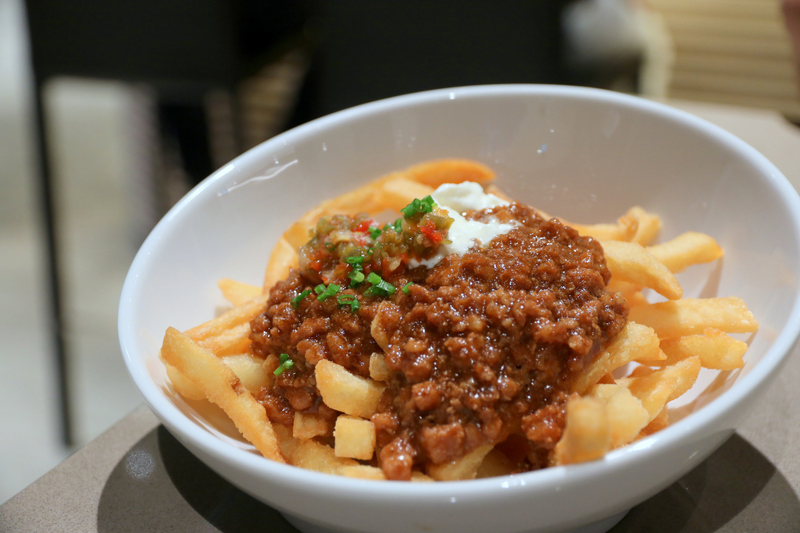 The fries are covered in a moist, saucy char siew ragout you won’t be able to stop scooping up! Think sweet BBQ meat chunks laced with sour cream and jalapeño salsa. Mm mm mm… A step up from your usual fries with meat sauce. You can’t go wrong with falling back on a local favourite. That’s what Loof has done with its heavenly Chilli Crab Fries! 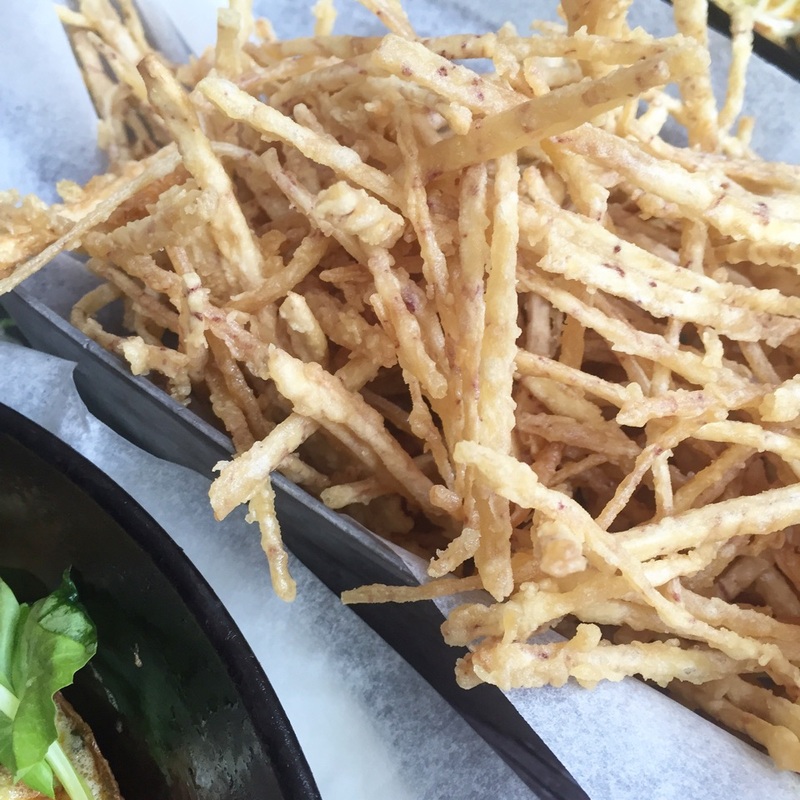 These fries are drenched in Loof’s signature tangy blue crab dip. Their waffle-cut shape is perfect for scraping up super big servings of the dip. Enjoy this with crafted Southeast Asian inspired cocktails for a chill evening at this urban rooftop bar! McDonald’s may be the original creator of these, but we’ve found a better version. Everything With Fries’ Curry Fries aren’t just sprinkled with curry powder. 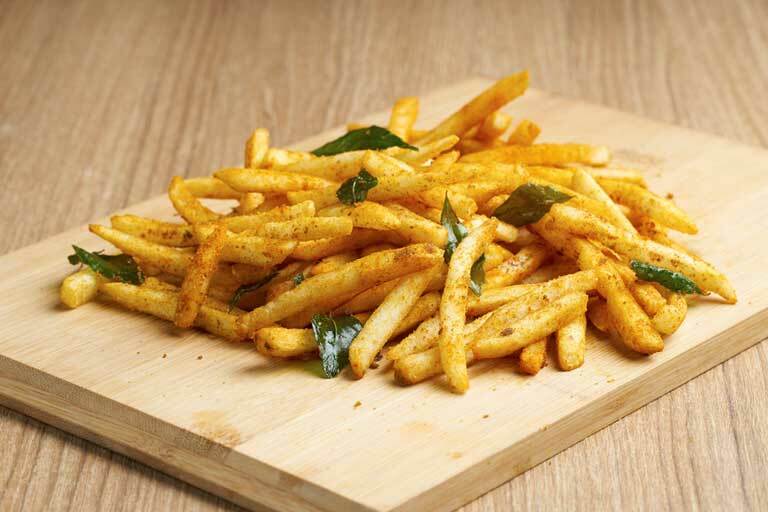 Rather, the fries here are tossed with fried curry leaves, and heavily spiced with a highly addictive curry powder. An eatery specializing in fries, the fries here definitely do not disappoint. Order these as a side to their burgers, or have them on their own – we know we would! These fries have to be the most sinful of the lot. These fries are fried in duck fat two to three times. The result is a crispy outer layer that’s guilt-inducing, but oh-so-flavourful. 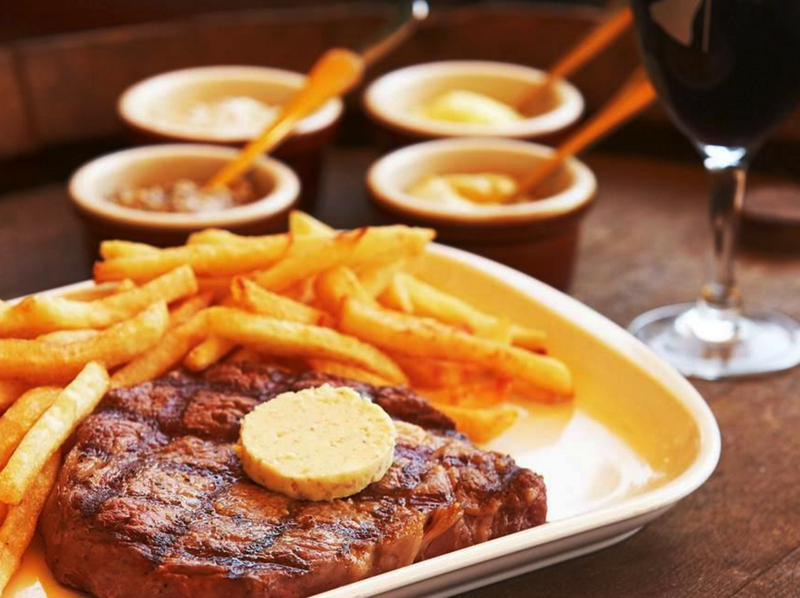 At Les Bouchons, these delicious babies are free flow with every main! Fans of all things Korean, listen up! 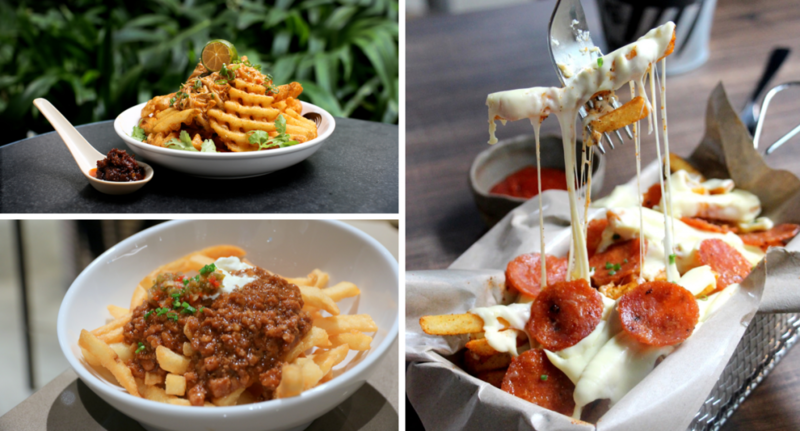 Here’s where you can get one of the best Kimchi Fries in Singapore. At Don’t Tell Mama, the fries are served with real kimchi; none of that artificial kimchi powder you may get at some other places. The fries are drizzled with generous amounts of homemade kimchi mayo, with extra jalapenos and onions for that sharp, spicy kick. There are also chunks of pulled pork hidden within the dish to make it more filling. It’s definitely something we’d order as a meal instead of just as a snack. Now, here’s a healthy(ish) option. House At Dempsey’s Pumpkin Hazelnut Fries are sure to delight with it’s unique mish mash of flavours. Sweet, nutty and spicy sensations hit you with each bite you take. The fries are actually deep fried pumpkin slices, while the hazelnut bits give them the nutty flavour and crunch. It’s not all sweet though – there’s also chilli powder and paprika in it for that extra kick that makes it so appetizing. This dish combines two of our favourite things – pizza and fries. The two flavours are a match made in heaven, and we’re glad they’ve finally gotten together. This is basically deconstructed pizza mixed in with piping hot, crispy fries. 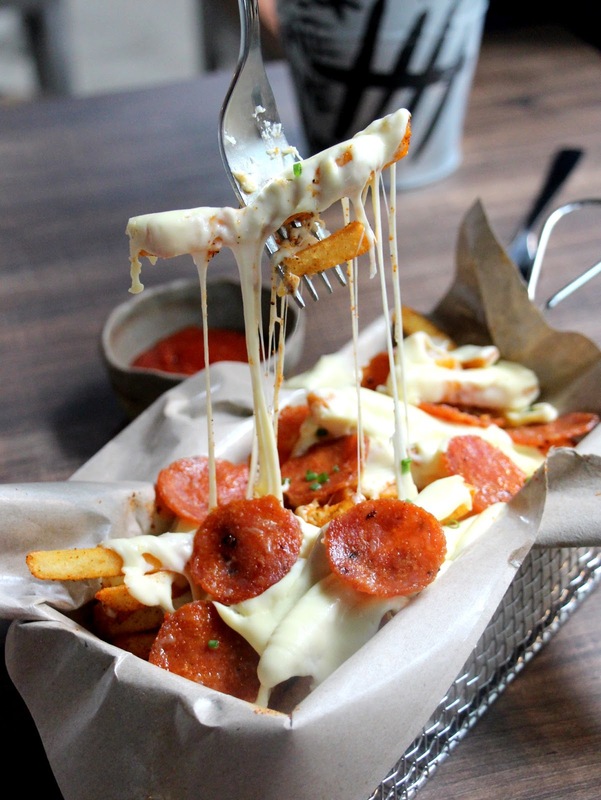 Alter Ego’s fries are covered with loads of melted cheese, three-cheese sauce and smoky pepperoni slices. It’s paired with a savoury house-made bacon ketchup. 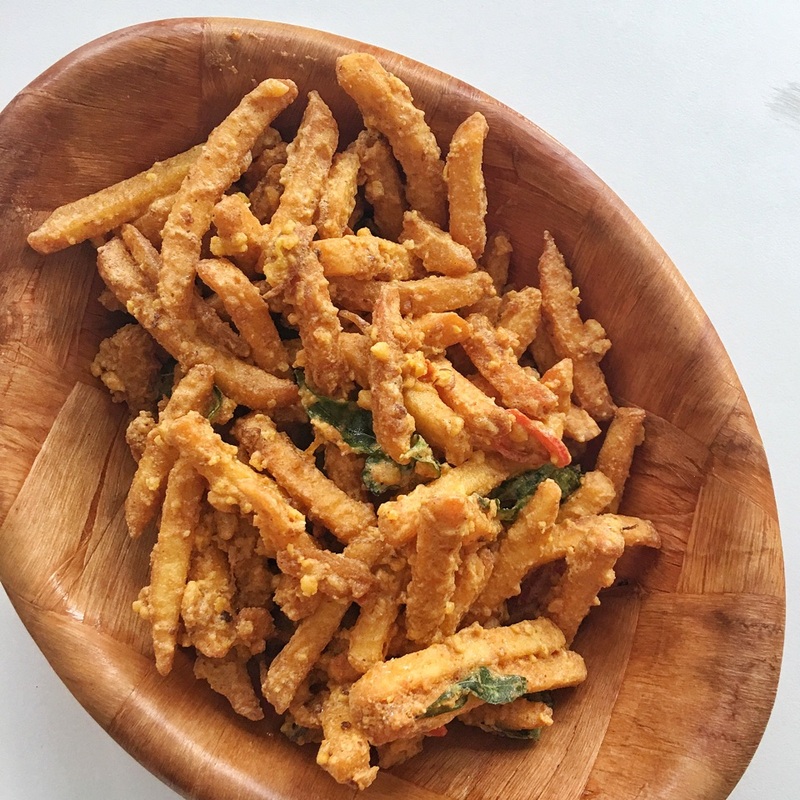 Salted egg yolk has made its way into all sorts of foods recently, and Arbite Cafe has hopped onto the bandwagon with its Salted Egg Yolk Fries! Their crispy fries are coated all over in the all-familiar salted egg yolk sauce! For less than $10, you’ll get a mean serving of these golden babies, so share away! That said, we would be more than willing to brave a sore throat to finish a whole plate of this ourselves. Spam Fries – or deep fried cuts of luncheon meat – are apparently a thing now. Strangers Reunion serves this in thick cuts and in a large portion. Scoop up some of the Kaffir lime mayo dip for a flavour combo you’ve probably never tried before! This is probably the fanciest form good old luncheon meat will ever take. Okay, so we cheated and threw in some Truffle Fries. But these ones are made with Taro, and that makes all the difference. 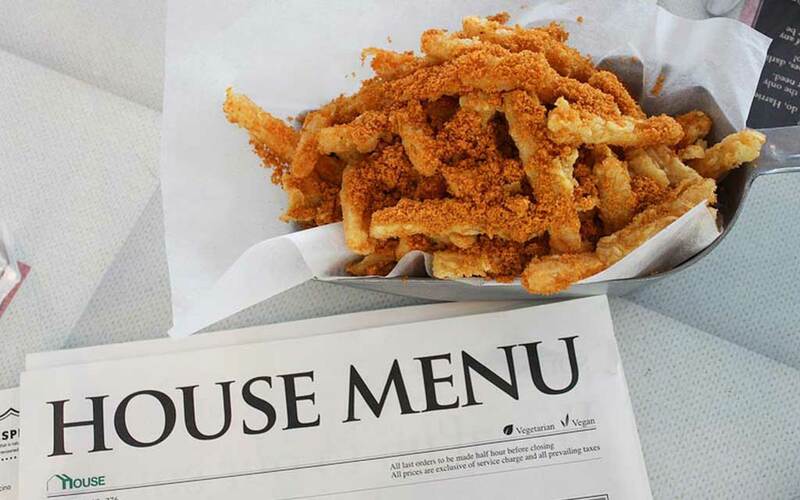 House At Dempsey’s shoestring truffle taro fries are a power combination. Unlike the the rest of its heavier counterparts, these fries are as light as air. 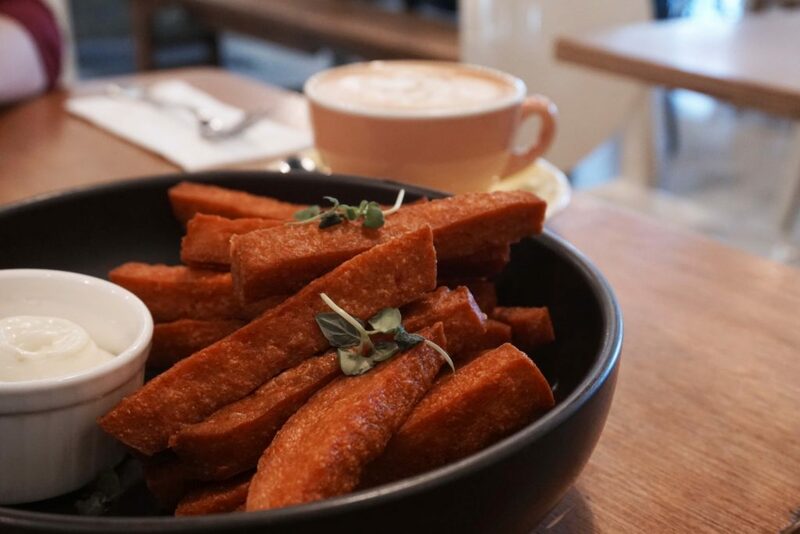 The taro fries are dipped generously in batter and fried to maximum crispiness. Together with the fragrance of truffle oil, this becomes the ultimate snack for both truffle and taro lovers alike. Are you ready to satis-fry your deepest cravings? We say, skip the McDonald’s fries and try out one of these out-of-this-world creations on your next cheat day.